"With Holy Orders, Hierarchy Can't Have It Both Ways" by Sister Chris Schenck, National Catholic Reporter, Female Deacons, in the early church model, is a no-brainer! Bridget Mary's Response: If Pope Francis restores the early church understanding of women deacons as influential leaders in the church with a sacramental ministry of baptizing and anointing the sick, as well as a liturgical role in preaching, celebrating weddings and funerals in communities where they live, then, contemporary women deacons will bring healing and new life to a church in need of women's voices and wisdom. For the first time in history, we have a gender-balanced papal commission. When has that ever happened before? While Vatican spokesperson Jesuit Fr. Federico Lombardi said Francis' commission idea was a"spontaneous" response to a question at an international meeting of Catholic sisters, I'm not buying it. First, no nun would ever spring a surprise question on the pope, especially in a public forum. Second, papal questions were solicited from the sisters months ahead of time. Francis had already considered his response very carefully before he replied publicly. As commissions go, the timeline between announcement and selection of commission members was quite short. Names were quickly solicited from Catholic sisters in the International Union of Superiors General and Cardinal Gerhard Müller at the Congregation for the Doctrine of the Faith. 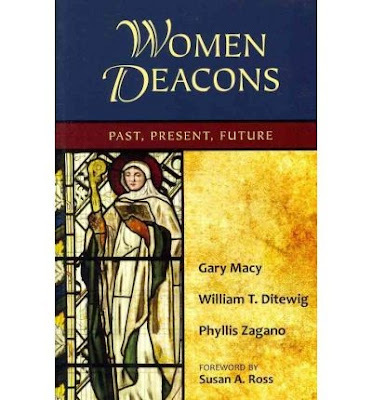 Then Francis, "after intense prayer and mature reflection" appointed a "Commission for the Study of the Diaconate of Women"​ to explore the history of the female diaconate "in the earliest times of the church." To me, this says Francis is serious about the need to resolve the historical issue, and he wants it done quickly. What is puzzling is that the heavy lifting on the history of the female diaconate was completed decades ago and Francis probably knows it. Notice he didn't ask the doctrinal congregation itself to set up a new commission. Instead, he said he would "ask them to refer him to some studies on this issue." It is well-known that Müller opposes ordaining women deacons. Müller says the diaconate is irrevocably linked to the priesthood. If the sacrament of holy orders can't be given to women priests, then it can't be given to women deacons either. The problem with this position is that in the history of the early church -- the one that Francis is so eager to look at -- priestly and diaconal ordinations were not linked, because ordination meant something quite different in the fourth century than it does today. For example, in some third- and fourth-century communities, deacons were the administrators of church properties and their authority was second only to that of the bishop. Ordination was given to members of a Christian community for a particular function in that very community. It wasn't an irrevocable power that could be exercised anywhere else. But in the 12th century, ordination rules changed. Now only ministries relating to service at the altar were authorized and only the orders of priest, deacon and subdeacon were recognized. Priests and deacons could also minister to communities outside the ones in which they were ordained. Significantly for the questions at hand, Professor Gary Macy tells us, "All of the other earlier orders were no longer considered to be orders at all." A highly influential late-12th-century Western canonist, Huguccio of Bologna, wrote that even if a woman were to be ordained, it would not "take" because she was biologically female. What is more, because she was biologically female, a woman could never have been truly ordained in the first place. Therefore, all past female ordinations were not ordinations at all, at least according to the new understanding of ordination. This is essentially the argument that Müller and Fr. Karl-Heinz Menke, a member of the commission, are pursuing today. They are anachronistically projecting backward an understanding of sacramental ordination that didn't exist in the early church. Given that male ordinations in previous centuries also entailed a different understanding of the meaning of orders, one could argue that male ordinations in the early church didn't "take" either, a point that seems to have escaped our esteemed churchmen. There is ample evidence that women were sacramentally ordained to the diaconate in the early church -- as sacramental ordination was understood at the time. So it remains to be seen how this new commission will play out. Whether this will convince our pope to ordain female deacons today is unclear, but I'm all for it. There is a great need for expanded pastoral care in the developing world, where so many sisters and dedicated laity serve thousands of Catholics suffering from a sacramental famine caused by too few priests. In the global North, Catholic women and men long to see gender balance on our altars and to hear the Gospel preached through a feminine lens. Women deacons could help meet this critical need. I cannot conclude this column without addressing the question that Müller and other churchmen seem to be so afraid will arise if we restore our long history of ordaining women deacons. OMG, we could have women priests! Our church hierarchy can't have it both ways. If the diaconate and priesthood are not irrevocably linked, as is evident in the early church, there is a strong precedent for ordaining women deacons to serve the church today. If the hierarchy continues the church's 12th-century precedent of refusing ordination to anyone with a uterus, while irrevocably linking bishop, priest and deacon, this teaching is doomed to fail. Recently, Fr. Hans Küng reported that Francis "set no restrictions" in his reply to Küng's request to discuss "the dogma of papal infallibility." If it's OK to discuss infallibility, then surely we can also discuss the nondogmatic teaching banning women from the priesthood. That said, I agree with Phyllis Zagano that this is a completely different kettle of fish than ordaining female deacons. For one thing, the women priest discussion involves different ecclesial issues that are, in fact, linked to infallibility. In my view, and that of theologians I respect, churchmen inappropriately invokedinfallibility in a misguided attempt to not only squelch discussion of women's priestly ordination, but also to squelch discussion of other urgent issues in the church, such as responsible family planning and homosexual love. What makes church teaching authoritative and what exactly constitutes the "infallibility of the ordinary and universal magisterium" are very big questions indeed, ones that will require time to mature. Thanks to Hans Küng and Pope Francis, it now looks as if these conversations can be held without fear of reprisal. In the meantime, reinstating the female diaconate is a no brainer." This August 6 – 9th, Max Obusewski and I took part in events to commemorate the 71st anniversary of the bombing of Hiroshima and Nagasaki. Twenty-five of us gathered on Pennsylvania Avenue near the White House on August 6th from 8–9 a.m. At 8:15 a.m. we became silent as this was the time the bomb was dropped on Hiroshima. Mr. Toshijuki Mimaki, a Hiroshima Hibakusha (A-bomb Survivor) was pleased that President Obama was the first US President to visit Hiroshima. However, he was disappointed because President Obama did not issue an apology. Nevertheless, he was presented with an Apology Petition crafted by Art Laffin of Dorothy Day Catholic Worker and Scott Wright. The Petition had 555 signatures. 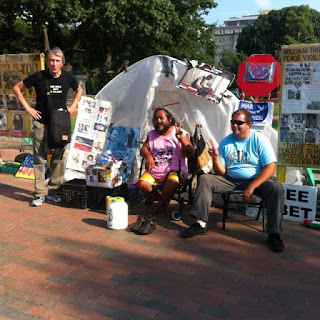 After the completion of the vigil, Max and I went over to Lafayette Park to congratulate the two anti-nuclear weapons protestors for their persistence. 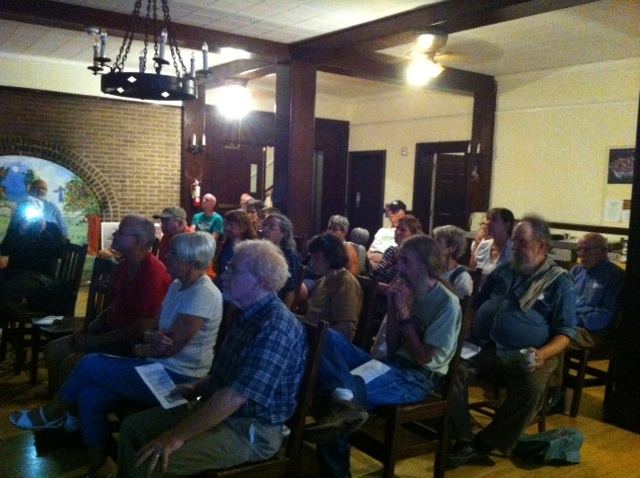 The following evening we gathered to commemorate Hiroshima in Baltimore on 33rd Street near Johns Hopkins University and were joined by 40 people who held anti-nuke and anti-war signs. Also protested were JHU’s weapons contracts, including killer drone research. We then walked to nearby Homewood Friends Meeting House where we listened to dulcimer music performed by Joe Byrne of Jonah House and poetry by Dave Eberhardt. Mr. Mimaki gave a Power Point presentation including photos taken the devastation and suffering caused by the atomic bomb blast. The Hibakusha’s greatest fear is that when they are gone, the memory of Hiroshima and Nagasaki will disappear and nuclear weapons will be used again. After words, we enjoyed ourselves at Niwana, a Japanese restaurant. Max presented Mr. Mimaki with a blue peace scarf from Afghanistan. Mr. Mimaki said he would take the scarf and show it to the mayor of Hiroshima. and on the rock, there’s a shadow. That evening we gathered again at Homewood Friends Meeting House in Baltimore for a Nagasaki Commemoration potluck dinner. There was a recognition that gun violence is an unrelenting epidemic in Baltimore and the USA. Firmin DeBrabander, a professor of philosophy at the Maryland Institute College of Art and author of Do Guns Make Us Free, offered some possible solutions to the gun violence epidemic. "Pope Meets Victims of Prostitution" and" Irish Theologian Criticizes Irish Bishops Absence at Fr, Sean Fagan's Funeral"
Estimates hold there are 46 million people around the world who are being bought, sold and treated as slaves, and recent statistics show that the number is not decreasing but sky-rocketing. According to Hanley, Fagan's constant mission was to help people understand the prodigal love of God -- "we all matter, we are all loved by God without reference to privilege or status." "He told me there were times he wept after hearing confessions in the past, to see the damage done by the church to people's sense of self, the poor moral development and the desperate scruples than many suffered," she said. "Sean had no tolerance for clerical privilege. ... He rarely wore the black suit and Roman collar. He had a deep distaste for episcopal robes and pomp and circumstance." A prominent Irish theologian has strongly criticized the absence of Irish bishops from the funeral Mass of moral theologian, Marist Fr. Sean Fagan, who was censured by the Vatican in 2008, and who died on July 15. Augustinian Fr. Gabriel Daly, 88, wrote in a blog on the Association of Catholic Priests' website that the presence of a bishop at Fr Fagan's funeral would have been "a golden occasion to express metanoia and the readiness to respond more sensitively to the message of the Gospel" and it would have meant so much to the Marist priest's family. The Augustinian, who recently published The Church -- Always in Need of Reform, said the presence of a bishop at Fagan's funeral would have given witness to the triumph of Gospel values over institutional church attitudes. "Regrettably no bishop was present," he wrote. "I believe that this omission was not personal; it was institutional." "It is highly probable that many bishops knew that the Roman Curia had behaved in a thoroughly unjust and unchristian fashion when it attacked six Irish priests who were giving admirable and enlightened service to God's people," he continued. "No bishop expressed public disapproval of what was happening, or came to the defense of priests who were being treated so appallingly by men who would have described themselves, somewhat implausibly, as Christians." His criticism was echoed by another censured Irish priest, Redemptorist Fr. Tony Flannery, who toldNCR, "It is a matter of shame for Church authorities, both in the Vatican and Ireland, that he was treated so dreadfully in his later years." Opening up the Sacrament of the Anointing of the Sick to deacons, in my view, would be a compassionate response to a major pastoral need. Catholics would welcome the presence of a deacon's ministry when seriously ill.
Thomas Reese cites Phyllis Zagano's scholarship that historical evidence supports women deacons anointing the sick in the early Church. I believe that women deacons could be a stepping stone to the full equality of women, including priesthood, in the Catholic Church. We need a complete renewal of ministry for ordained ministry in a non-clerical, community of equals model. The media is interested in this issue because Pope Francis appointed a papal commission to study the question of women deacons, including as a member our esteemed NCR colleague, Phillis Zagano. Zagano has shown in her many writings that there were ordained women deacons in the early church. They disappeared in the West around the same time as male deacons. If there were women deacons in the past, the arguments goes, there is no reason we could not have women deacons today. True, deacons can witness weddings, but in Catholic theology the ministers of the sacrament of marriage are the two people getting married. The priest or deacon simply “assists” (Canon 1108). There is no reason a layperson could not perform this function, in fact Canon 1112 permits it under certain circumstances. There is not much historical evidence that male deacons anointed the sick, but interestingly, there is evidence that women deacons anointed sick women, just as women deacons anointed women at baptism. “Epiphanius says it, and Jean Danielou, among others, affirms it,” according to Zagano. Wouldn’t it be wonderful if the historical actions of women deacons provided the precedent for allowing both male and female deacons to anoint the sick? This is another reason I hope that the church allows women deacons." Dowley, M., Grant, S., & Quinn, C. (2009). The Life of Nano Nagle [Pamphlet]. Cork, Ireland: Presentation Sisters. Earle, M. C. (2011). Celtic Christian spirituality: Essential writings-- annotated and explained. Woodstock, VT: SkyLight Paths Pub. Flanagan, B., Lanzetta, B., & Tillman, J. (2013). Embracing solitude: Women and new monasticism. Eugene, Oregon: Wipf and Stock. Fox, N. (2016). A dream unfolds: The story of Nano Nagle. Blackrock, Dublin, Ireland: The Columba Press. Maguire, A. (2013). Praying with Christian mystics. Blackrock, Dublin, Ireland: The Columba Press. McColman, C. (2003). Complete idiot's guide to Celtic wisdom. Indianapolis, IN: Alpha. Meehan, B. M., & Oliver, R. M. (2003). Praying with Celtic holy women. Liguori, MO: Liguori/Triumph. Rev. Sister Immaculata. (1968). Nano Nagle: Lover of Children, Friend of the Poor[Pamphlet]. Tallaght, Dublin, Ireland: Folens & Co. Ltd. Sister Nora Delaney, PBVM [Personal interview]. (2015, August 15). Waal, E. D. (1997). The Celtic way of prayer. New York: Doubleday. Walsh, T. J. (1959). Nano Nagle and the Presentation Sisters. Dublin: M.H. Gill and Son. Wyse, C. (2006). 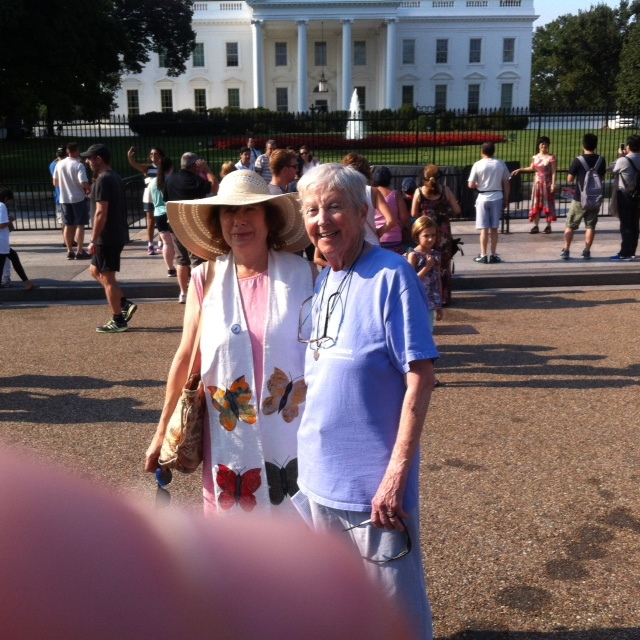 Not words, but deeds: Nano Nagle's daring venture and the founding of the Presentation Sisters. St. John's, NL: Flanker Press. Last weekend, however, Dahl’s dream was fulfilled when she stood at the front of the Cape George Colony clubhouse and, in a solemn and ancient ceremony, was ordained a priest by nearly 200 friends, neighbors and fellow Catholics. Dahl is under no illusions that her ordination will be recognized by the Catholic Church – “probably not in my lifetime,” she says. Nor will any of the other nearly 200 women in the United States and Europe who have been ordained by Roman Catholic Women Priests (RCWP), an international group of devout Catholics founded on a boat in Germany’s Danube River for the purpose of defying and changing a fundamental church doctrine. But it’s safe to say that, with or without Vatican recognition, few priests in the U.S. or across the globe have been ordained with the knowledge, experience and credentials Dahl brings to the vocation. Over her long career, she has served as a cloistered nun, earned a doctorate of divinity from a prestigious seminary, served 30 years as a full-time pastor in the U.S. and abroad, and much, much more. Judy Dahl is a passionate 68-year-old perhaps best-known for a beatific smile that appears to have been painted by a Renaissance master. A Port Townsend resident for nearly a decade, she set off on her spiritual journey half a century ago in Phoenix, where she grew up in a staunch Catholic family. She attended Catholic schools and then joined a Benedictine convent in Minnesota. Eventually, she decided the convent was not her calling. She left and worked as a flight attendant for more than a decade. Based in Southern California, Dahl found her way to the Metropolitan Community Church (MCC), a nondenominational church that ministers primarily to gay and lesbian communities. There, she says, she was able to answer her childhood calling. 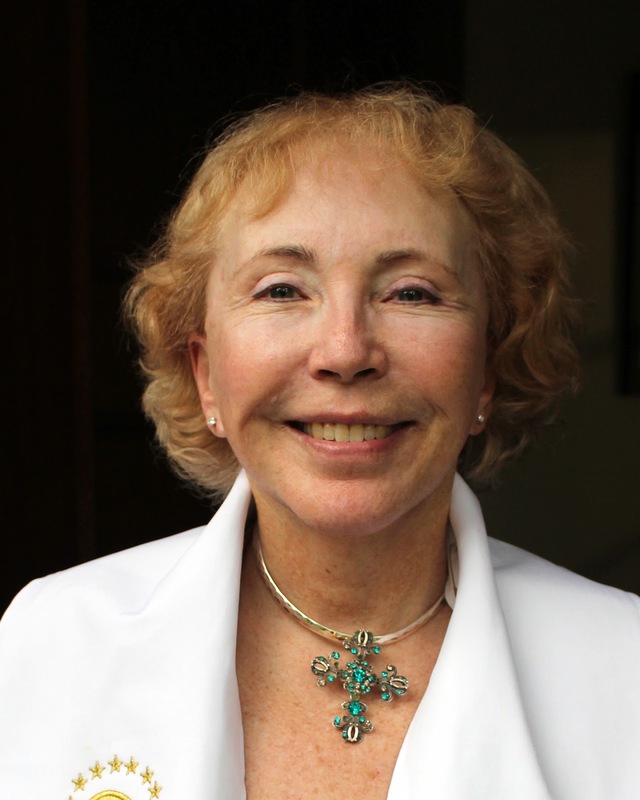 She earned a master’s in divinity from Iliff School of Theology in Denver, became a student minister and, in 1979, an ordained minister at MCC. She soon was promoted to district coordinator, overseeing 37 churches with 85 clergies across the Southwest. Dahl worked with the church for 30 years, served on its governing board, worked with Cuban refugees and eventually served as director of a global program that reached out to LGBTQ people in Africa and Asia. She continued her studies and earned her doctorate of divinity from San Francisco Theological Seminary. Meanwhile, she and her partner adopted two young children. Ten years ago, Dahl retired and moved to Cape George, just west of Port Townsend, with her partner, Carol Wood, a retired Los Angeles lawyer. Dahl has stayed busy as a hospice volunteer, a singer in the Community Chorus of Port Townsend and East Jefferson County, and much more. But she stayed in touch with leaders in RCWP, which has now ordained 43 women in western states, including 15 in the Pacific Northwest. She drove down to Olympia and met with two RCWP women who live and work there. And she decided to proceed. The RCWP is hardly a radical organization. The group is composed mostly of middle-age and older women, many of them married with children and grandchildren. Their stories are not unlike Dahl’s – lifelong Catholics who decided their church was deeply wrong on a number of issues, and especially the role of women. They argue that women served as priests from the earliest days of the church, beginning with Mary Magdalene, and that men monopolized leadership for economic reasons that had nothing to do with scripture. And even as women have taken leadership in virtually every other Christian denomination – not to mention government – the Vatican continues to insist on barring half the world’s population from the priesthood. The movement gurgled silently for some time until 2002, when seven women were ordained in a traditional service aboard a ship cruising the Danube River. The women were promptly excommunicated along with the Argentine bishop who presided over their ordinations. But this set up a “line of succession” that, in their view, empowered those women to ordain others. Applying was merely the beginning of a process of preparation at least as rigorous as the church’s own. Dahl was subjected to a thorough background check and a psychological evaluation conducted by a former priest turned psychologist. She was required to complete 10 units of theological study. Dahl was resistant. She’d been there, done that. Her partner asked why “an old lady” would want to subject herself to such a test. But she did, ultimately leading to the two-hour ceremony on Aug. 6 in a waterfront clubhouse usually used for neighborhood potlucks, yoga classes and quilting bees. It became a neighborhood event. Dozens of friends stepped up to help decorate, host receptions, catch and cook Dungeness crab and open their homes to visiting RCWP priests from across the West. Then they sat in folding chairs to take part in an event few of them had ever imagined. The liturgy was the same that is prescribed by the Vatican, with the exception of the gender pronouns, and the addition of gluten-free bread for the Eucharist. Dahl was escorted down the center aisle by a cadre of robed priests. As a visiting soloist chanted the names of saints, Dahl lay prostrate before Bishop Olivia Doko, a tall, regal Californian with a whimsical pink wisp in her white hair to assure her friends that she doesn’t take herself too seriously. Later, Dahl sat as friends and supporters from Port Townsend and beyond filed past, reverently laying their hands on her head, an ancient gesture of spiritual support. The hall erupted in applause. Doko and Dahl presided over the Communion service. And the deed was done. This letter by Brendan Butler raises the issue of spiritual, theological and pastoral preparation of Irish priests . View link to People's Catholic Seminary to see our online courses. I believe that priestly preparation should prepare mystics, prophets and sacramental ministers in an empowered community of equals, a non-clerical approach. 230 is the number in our worldwide RCWP Movement.